Hooray for Friday! There are so many good things that caught my eye this week, even a few that are on their way to me! I think you'll like some of these things too. 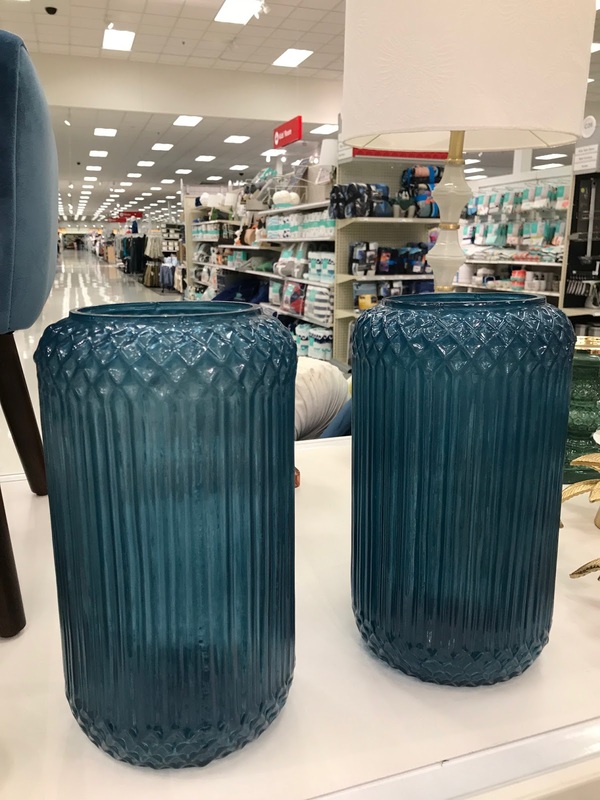 If you follow many other home bloggers at all, I'm sure you've caught wind of the new Opalhouse collection out at Target. I had no idea it was debuting this week, but stumbled across in our local store last weekend. It is full of so many great pieces! 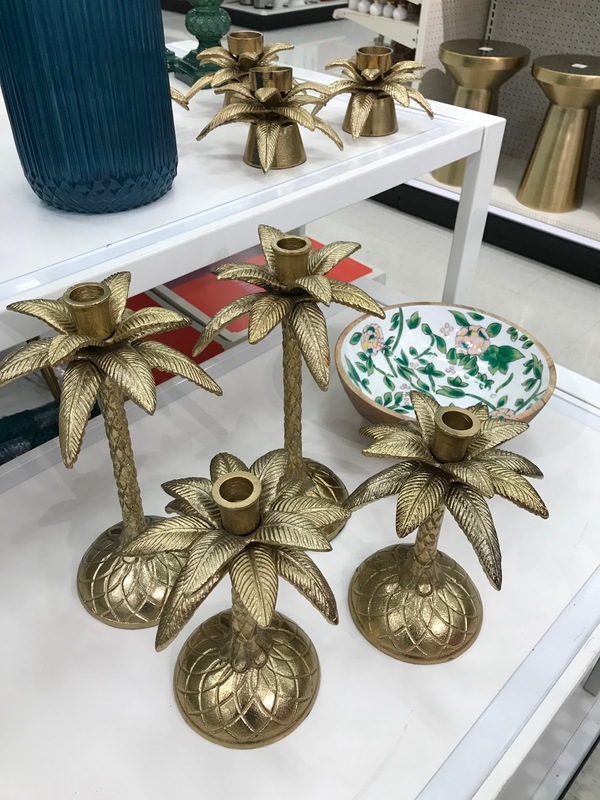 These palm candleholders are my favorite accessories in the collection, but there are many, many other great things and pretty color options too! This glass floor lamp is SO, so good! It's beautiful in person and looks so much more expensive than it is. Perfect for a dark corner or I think a pair flanking a sofa would be so pretty. These candleholders, although slightly smaller, reminded me of my blue glass lanterns. They give off the prettiest glow with a candle inside and I even love using mine on the patio, too. This one would even be a pretty vase. More favorites from the line- use arrows to scroll left and right and photos are clickable for more details. I thought the velvet pillows were exceptionally good and that darling elephant basket would be such a cute tabletop planter! 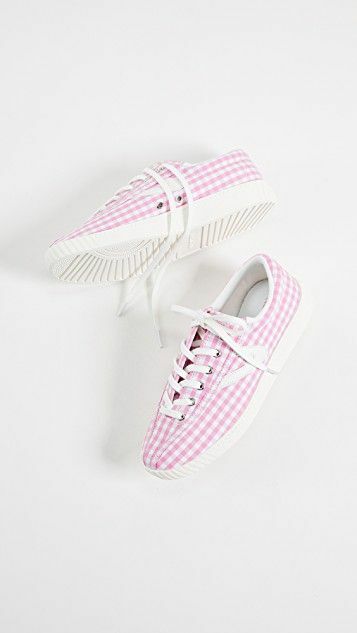 I've had my eye on these gingham shoes for a while, but when they went 20% off this week that sealed the deal! The sale only lasts through the weekend and sizes are starting to be limited, so hurry. They come in a darling gray also. There are so many other discounted items throughout the site with code EVENT18 as well, this sale doesn't happen often! Speaking of gingham, these days I think you can find the pattern on just about anything! 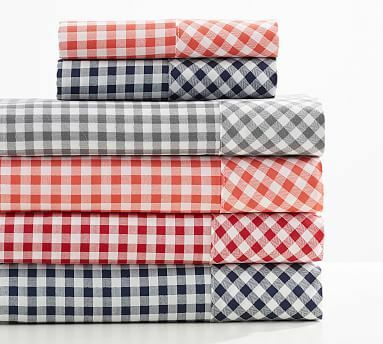 These gingham sheets would be so fun mixed with so many solids or even complimentary patterns. 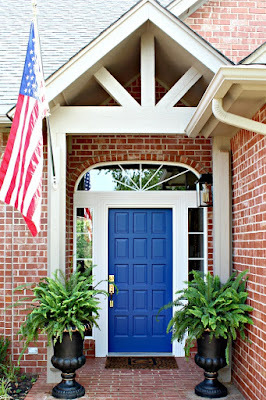 If they had black and white (this one is navy) I'd buy a set in a minute for Emily's new room! This week I'm seeing cute elephant decor everywhere! I don't collect them at all but always find the most interesting pieces that happen to be elephant shaped so several of them have found their way into my home. I've been looking for an interesting new basket to keep throw blankets in next to a side chair in the living room, and love the idea of one having a lid. 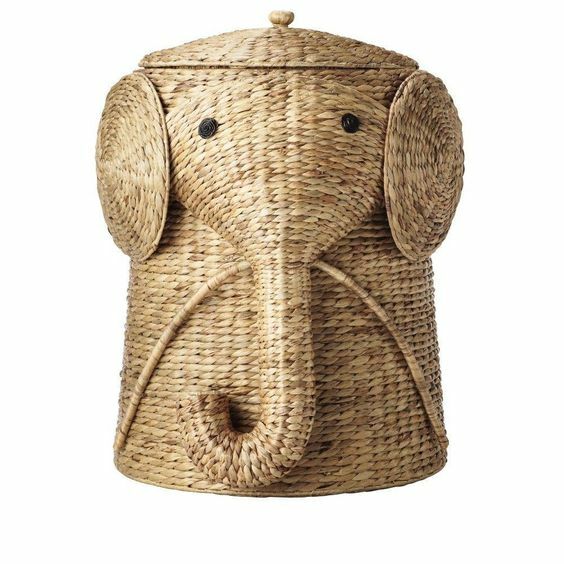 Technically listed as a hamper, this Elephant basket is too cute! Of course it would be darling in a nursery or kid's room, but I don't think it's especially juvenile looking and could easily lean towards a palm beach chic style. I would love it in any room of my home. 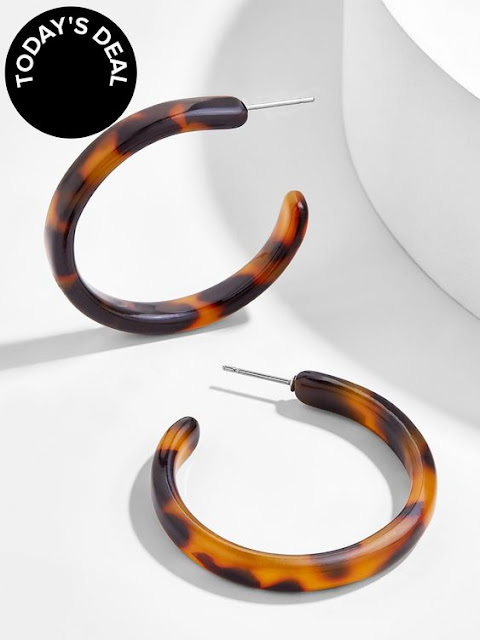 Lastly, these tortoise hoop earrings are a steal at $10! 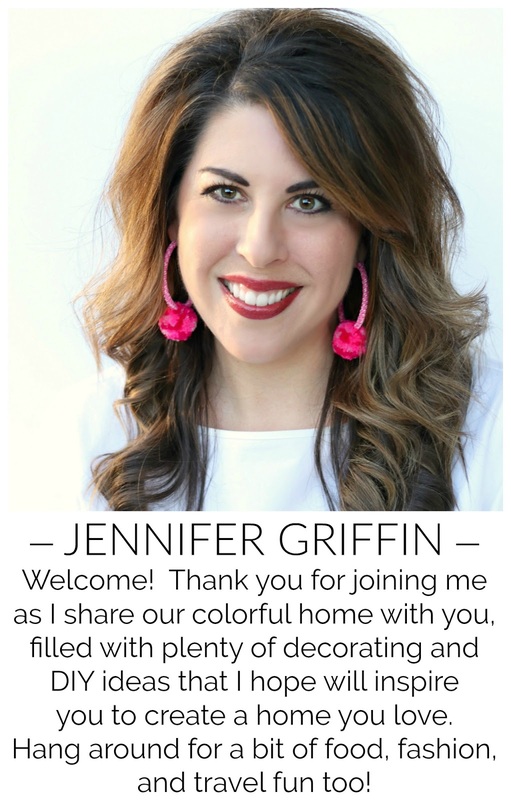 I have a pair and wear them several times per week, they're such a staple accessory (especially fun to coordinate with leopard shoes or sandals!). Wow glad I came over today, I love these finds! 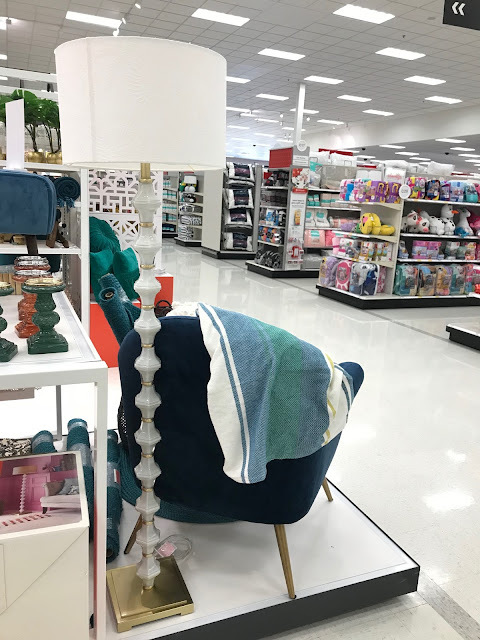 I was considering a target trip for a new purse and now know I must check out their home section while there. The reason I came by is while browsing elsewhere I saw this great big circle mirror that I thought would fit for your girl's room! This no sponsored link just a mirror at what seemed a good price for its size. OH my gosh! and the rattan furniture pieces that Opal House has at Target! I fell in love! Had a design date with myself at Target last night after dropping the hubs off at the airport! Great finds!